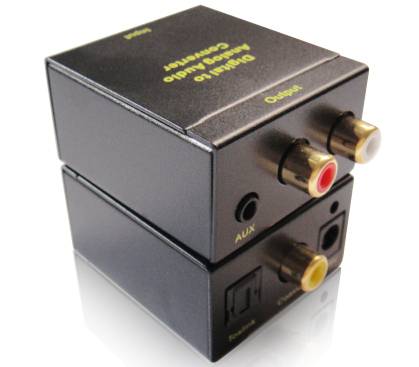 only has an Toslink output, no other audio output with the new TV , and how to connect to speakers or home theater? The set-top boxes accounted for three AV interface, then the PS3 accounted for an HDMI interface. 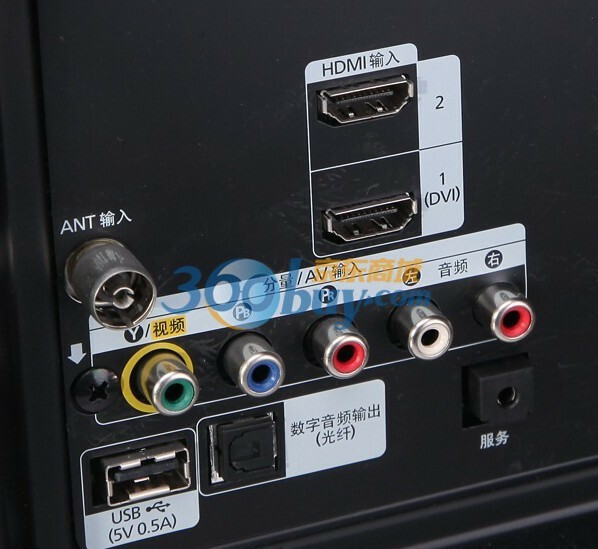 For example, I use a set-top box to watch TV, play games or PS3 watching movies, or watch movies with a removable hard disk, but how do want to use the speaker output? 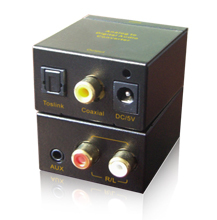 A: With the technological progress and the improvement of living standards, people increasingly pay attention to the quality of life, the new high-definition TV to enjoy in order to pursue a higher quality sound, analog audio output, only HDMI and digital optical Toslink or digital coaxial coaxial output. 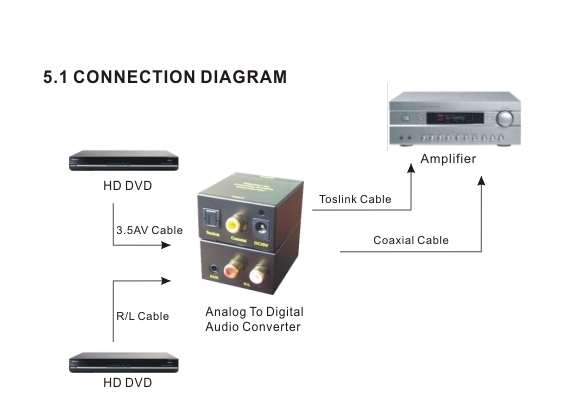 As we all know, above the TV audio only meet to hear sound, the sound quality is not ideal, and digital sound expensive, the average family has the original amplifier system, so to see films or play music in order to enjoy the perfect sound, in order to meet customer needs, typical school DIPO launched a digital-to-analog audio converter and analog to digital audio converter or call audio decoder, some people called a digital to analog audio decoder and analog to digital audio decoder, do not change the line, do not costly price to solve the problem for the user to save the cost of living, and enjoy the same high quality of life.